Orders are now being taken for the 1st edition release of 1000 CDs on March 17, 2002 - the 13 year anniversary of the original Halo Records release party at the Cabaret Metro. Of course, the vinyl wasn't actually out until April 12 due to technical difficulties, but this time around we are very well prepared and it will definitely be out on time. 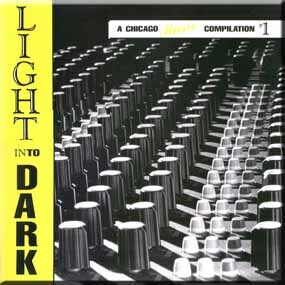 If you are interested in purchasing this fascinating piece of Chicago music history on CD, click here for more information. If you are interested in the original LIGHT INTO DARK vinyl record or a limited edition Bob Masse Smashing Pumpkins Poster, please visit The Girl Media Shoppe. Receive a $10 discount on the SP poster for a limited time!